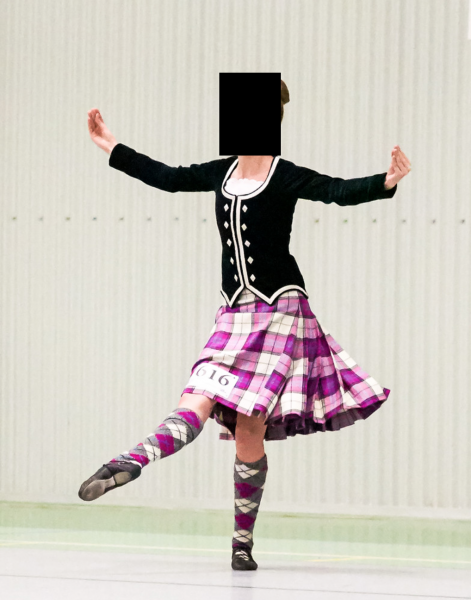 dance.net - Dress Toridon Premier Kilt Outfit (10244684) - Read article: Ballet, Jazz, Modern, Hip Hop, Tap, Irish, Disco, Twirling, Cheer: Photos, Chat, Games, Jobs, Events! Locked by sunkst (137606) on 2017-02-26 07:32:03 Item sold. Dress Toridon Premier Kilt Outfit. Mint condition. Kilt smallest (i.e. tightest buckle) 24". Can be larger. 23" long with a 3.5 in hem. Jacket is seam to seam in armpits laying flat 15" Fits a bust size of 29-30. Nape to point is 18" hip is 16" laying flat. Sleeves are 22.5 long with a good hem. Socks are toe to heel 9" and heel to top of cuff is 15.25". Worn by ladies shoe size 6 ish. This was worn by a slim 13-15 yr old (although jacket was snug by 15). It has been worn to 4 competitions. I can provide further measurements if needed. 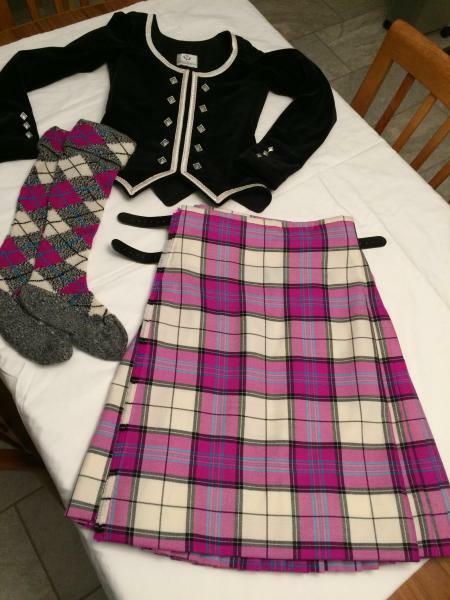 The outfit was ordered from MacIsaac Kilt Makers in June of 2014. $800 plus shipping. I am in Newfoundland, Canada. This item is conditionally sold. Will update here if the sale does not go through.